Learn about: Universal Dispenser Stand from Bro-Tex Inc. The universal dispenser stand is available in black or white. The stand's back plate is pre-cut to accept various styles of dispensers. 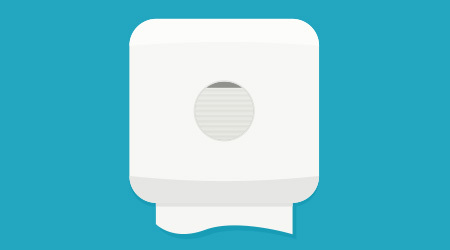 The product features adjustable height so wipes can be dispensed either up or down. The steel stand is powder coated for durability and includes a matching waste receptacle.